SharePoint, Office 365 or Hybrid: Which Suits You Best? The most important message Microsoft was trying to communicate at conferences throughout 2014 was that the Cloud would be the future. Not every company was happy with that message however. Some companies aren’t allowed to store their data in the Cloud for legal and compliance reasons. Similarly, not every tool and feature a company might currently use can be implemented in Office 365 - many businesses still depend on SharePoint On-Premises. Microsoft has clearly listened to this feedback - in contrast to previous years, the message at Ignite 2015 was that Hybrid was now the goal. A hybrid solution combines the best of both worlds - On-Premises for features that cannot be leveraged in the cloud, and the Cloud for all the new features that are unavailable On-Premises. This message was further reinforced at the recent World Partner Conference (WPC). On-Premises and the Cloud aren't in competition with each other, they're actually better together. Companies need to think about how productivity can be reinvented, how business processes can be reshaped and how On-Premises data can be even more useful when connected to Office 365. The hybrid features in the next SharePoint release, SharePoint 2016, will be significantly improved compared to those currently available. For example, the new ‘Cloud Search Service Application’ will bring a unified search experience, combining results of different SharePoint platforms (either on-prem or in the cloud) into one search center. On-Premises data, like documents and lists, can also be incorporated into tools like Delve, Office 365 Groups and Modern Portals. It was announced at WPC that a public preview of SharePoint 2016 will be available in August 2015. Our own Benjamin Niaulin has more on what went down at WPC. Given the range of options when it comes to Hybrid, many companies struggle with the question “should we go for Hybrid? Or Cloud only? Or, perhaps On-Premises only?”. Let’s take a look at some of the different scenarios for choosing either a hybrid or Cloud-only solution. With the upcoming SharePoint 2016, we no longer need to think of Cloud or On-Premises. These systems don’t need to compete, but rather the Cloud can power On-Premises. This scenario has the potential to reinvent whole means of productivity. Make the best use of On-Premises, putting this trusted technology to use in ways your business understands. Instant access to the newest features: all new SharePoint features are available via Office 365. Amazing new tools like Delve and the Office Graph will never become available On-Premises as they depend on the Cloud to operate. Brand new Hybrid experiences: This new model allows content and data from On-Premises systems to be incorporated into functionality like Delve. This really ups the power and applications of these tools. Delve is already a great example of how next generation IT can reimagine the workplace. When combined with On-Premises data it'll be even more game changing. Certain data cannot be stored in the Cloud for legal reasons. Also, a company inventing new medicines for instance, may not want to take the risk of storing sensitive data in the Cloud for fear of data centers being hacked. A company wants to gradually migrate to the Cloud. Current farms will eventually be migrated, but will initially stay On-Premises. Communication with Line-of-Business (LOB) systems. 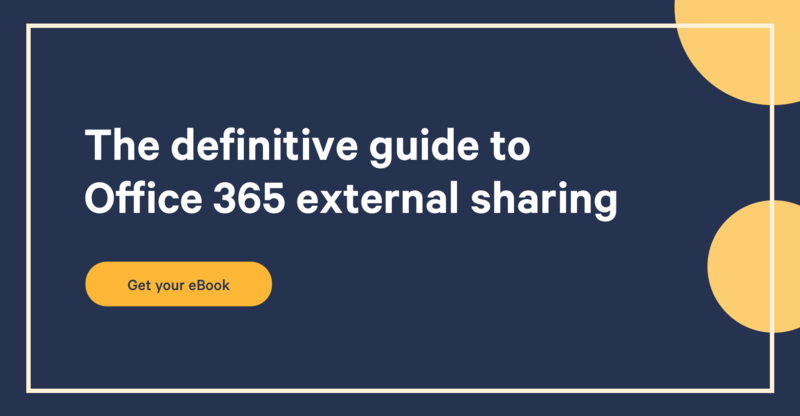 When SharePoint needs to communicate with LOB systems, it requires configuration in the company’s public network to make it work with Office 365. Firewalls must allow Office 365 to communicate with these internal systems. If this isn't an option, these services must be hosted in an On-Premises farm. Lower costs: In a Hybrid solution, additional server licensing costs must be paid for the SharePoint servers, plus costs for maintaining and updating the SharePoint farm. No network configuration required: A hybrid solution requires that the On-Premises farm(s) are able to communicate with Office 365 via the World Wide Web. This requires network configuration to be applied to make this possible. A simpler model: For many, Cloud only will provide the simplest model of operation. No changing features: features in Office 365 will change over time without the option to opt in or out. Microsoft may deprecate features your business relies on, requiring you to look for alternatives. For example, Public Websites have been deprecated by Microsoft and are now only available On-Premises. Equally, you may have no real need for many new features when they become available, and these may only cause confusion. Microsoft recently implemented an improved app launcher for the Office Store in Office 365 which has caused confusion for several companies. By contrast, an On-Premises only scenario offers you full control over whether and when a SharePoint update is installed. With Office 365’s introduction, companies are now faced with many options for the setup and configuration of their systems. Microsoft is aware that the Cloud isn't the answer to every situation, and is investing heavily in Hybrid with SharePoint 2016. This will not only combine the best elements of either system, but support brand new experiences not previously possible. The hybrid features of SharePoint 2013 are a good start, but they're currently not optimal in certain scenarios. For example, Hybrid search currently delivers two separate search verticals. The good news is this'll be improved later this year in SharePoint 2013 (the SharePoint 2013 Cloud Search Service Application Public Preview is due in August 2015). SharePoint 2016 will be a big step forward, and we look forward to the preview arriving very soon! What scenario are you on right now or looking to implement?